Snow Peak Ultra-Light Umbrella. 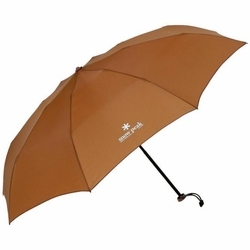 One of the lightest, most compact umbrellas without the sacrifice of quality of features. Small enough to stow in a small hand bag and so light you won't even notice it.